Recently played Policenauts again and it got me in the mood for trying out new ways to experience the game. For me the holy grail was always playing the game on the PS3. Not only is the displayed image going to be the best, it will be accurate. Although you could argue RetroArch with the BeetlePSX HW core is the best you can get right now (ask if you want a guide for that). Anyway, to my recent knowledge a program came out for the PS3 called HAN tools that allows you to run backup games on OFW (Official firmware). I'm sure you can Google for links to that. The install process for HAN won't take long (maybe 1-2 hours max) with some technical knowledge and then you can look for the HAN Convert PS1 games guide at a very nice "place". Please note: In order to convert the game you still need to legitimately own the game. Got it all working last night and was pretty chuffed with myself. The only real problem was that the artwork on the PS3 XMB menu is of course non existent unless you want to spend time making your own icons and backgrounds. I no longer have the means to grab the Japanese PSN version to use those icons and backgrounds that it has. It would be pretty cool if someone could Photoshop English artwork and descriptions for that and post them. 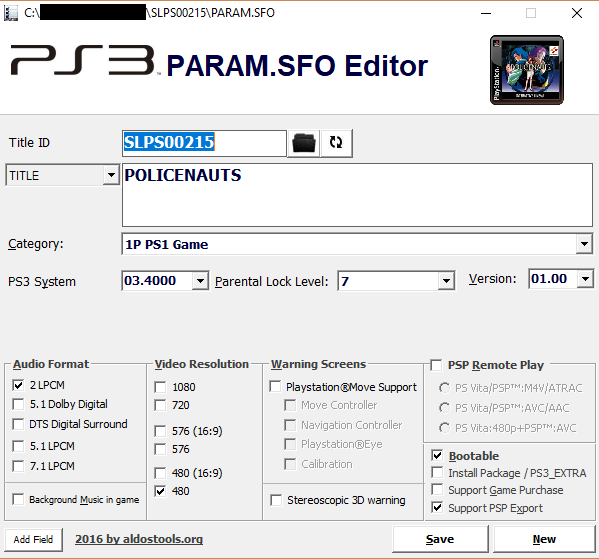 European PAL PS3 owners: Since HAN tools is not a full system hack, it has some issues. There seems to be some problem with the game running at the incorrect speed of 50 fps and it makes the audio slow and slightly distorted. NTSC or JP PS3 consoles should not have this problem. I also managed to grab hold of the official Japanese PSN release and grab its graphics for use. Direct from the Sony servers (NPJJ00157). This basically gets you an exact replica of the official Japanese PSN release but in English. If anyone requires any extra help feel free to PM me.